Trivandrum, 8 September 2011: M.O.H. Farook was sworn in as the Governor of Kerala today. 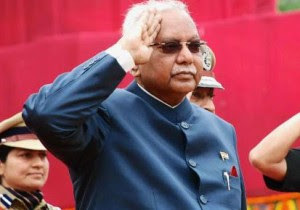 Mr. Farook, aged 74 has also served as Governor in Jharkhand, Chief Minister of Puducherry, Union Minister and Indian Ambassador in Saudi Arabia. The new governor was administered the oath by Kerala High Court Chief Justice J Chalameswar today morning in a function held at the Raj Bhavan, Trivandrum. Mr. Farook succeeds R S Gavai as the Governor of Kerala and is the 19th person to be in that post.